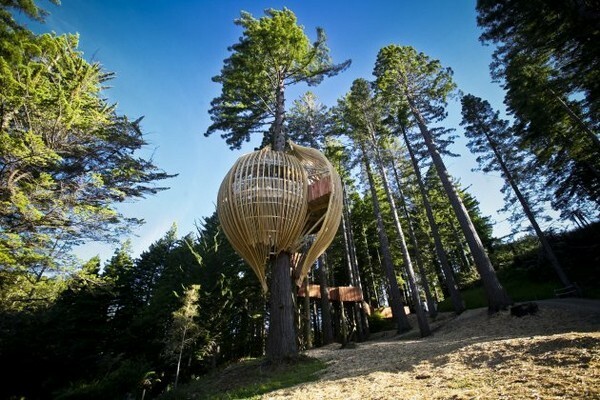 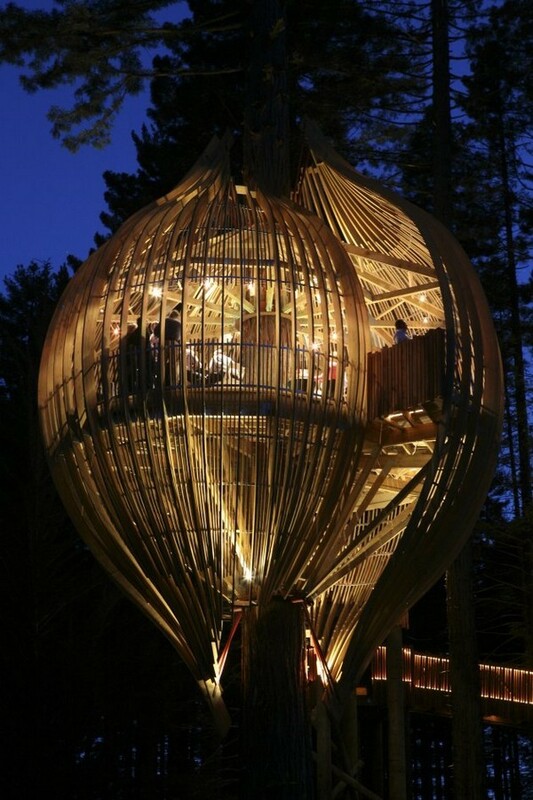 The Yellow Treehouse Restaurant is located in Auckland, New Zealand and was designed by architects Peter Eising and Lucy Gauntlett from Pacific Environments Architects. 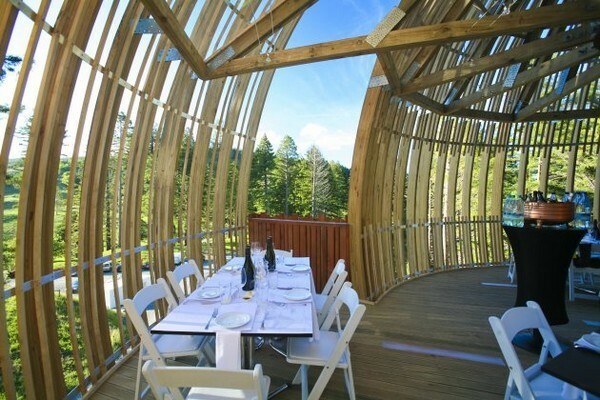 There is room at the tables for 18 people in this original looking restaurant (plus the waiters); the kitchen and facilities are situated on the ground. 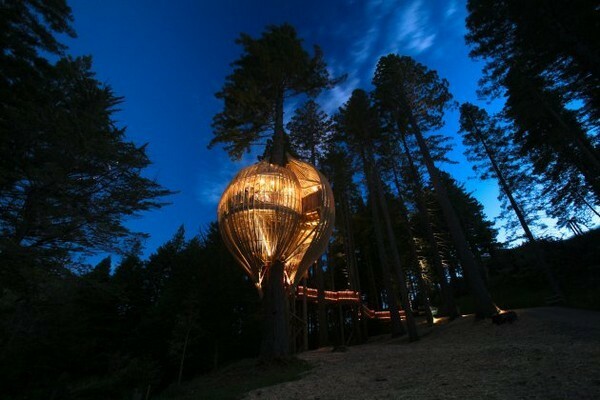 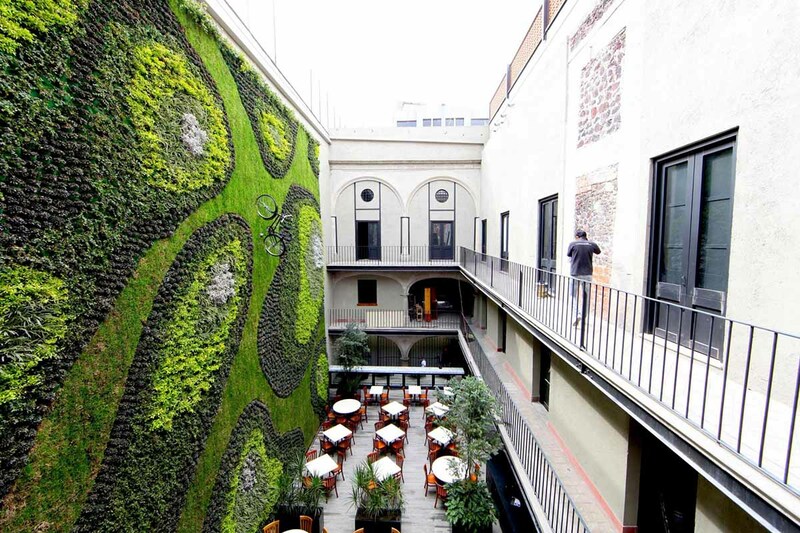 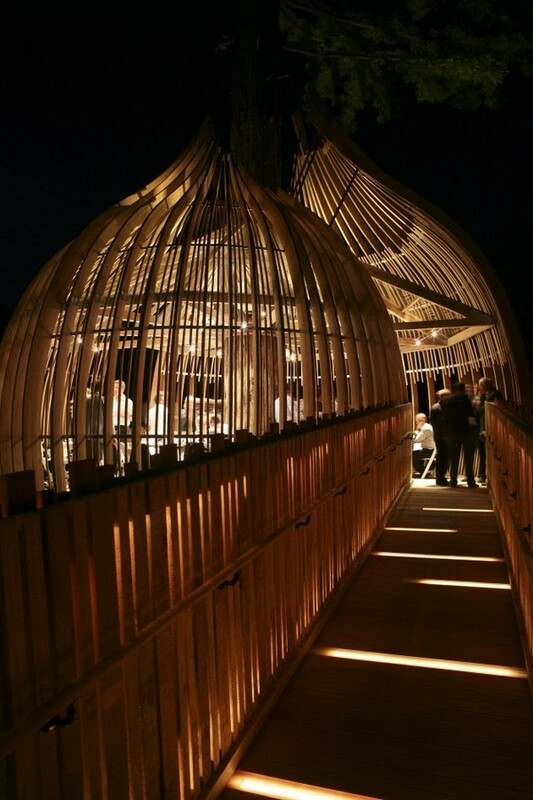 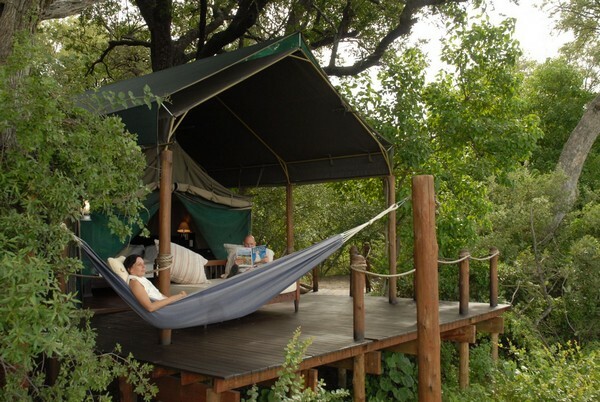 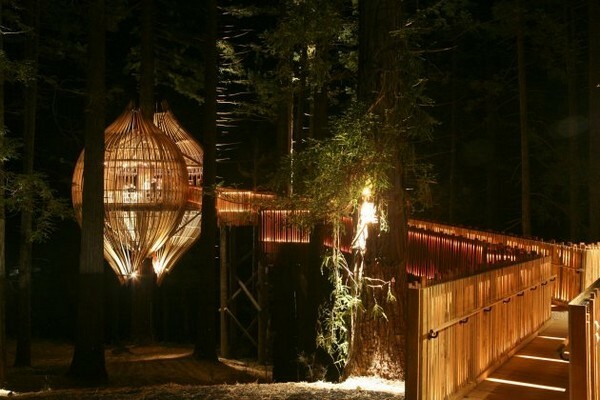 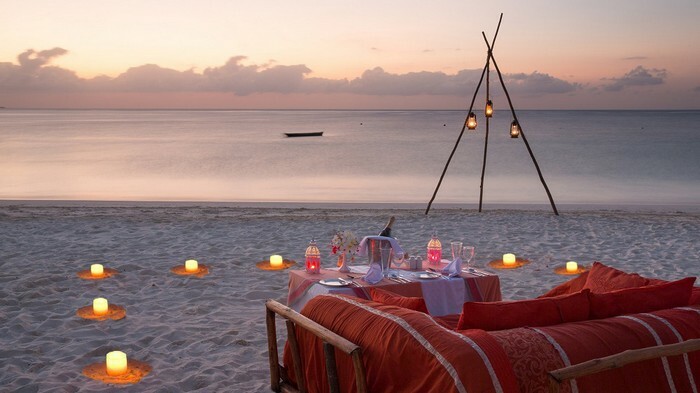 Access is provided by a 60 meter tree-top ‘accessible’ walkway, a creative way for the guests to enter the restaurant. 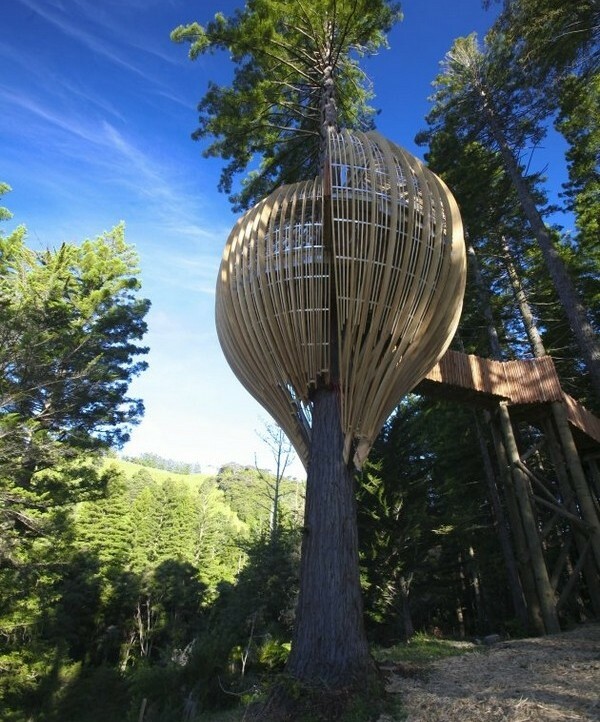 What we absolutely love about this structure (taking aside its shell-like form) is the fact that it blends in perfectly in its environment.